Learn how to make your customisations for Jira and Confluence simple to use, professionally integrated, easy to design, create and maintain. Building apps for Atlassian tools is a great way to enhance the existing functionality and customise the tools to suit your company's business needs. Ideally, customisations should integrate well with the tools' UX so your colleagues can easily understand and use your apps. But sometimes spending hours understanding the apps design guidelines seems like overkill for an internal-only customisation. 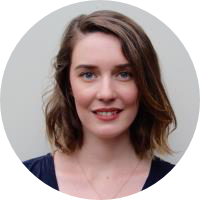 In this session, Atlassian Ecosystem UX designer Lucy Denton, will share common ways people customise tools and defined design patterns for doing so. Learn how to make your customisations for JIRA and Confluence simple to use, professionally integrated, and most importantly easy to design, create and maintain. Lucy is a Sydney based UX Designer, with a background in computer science and multi-disciplinary design. Working in Atlassian's Ecosystem team, Lucy has the unique role of helping third-party vendors create well designed add-ons and integrations for Atlassian products.